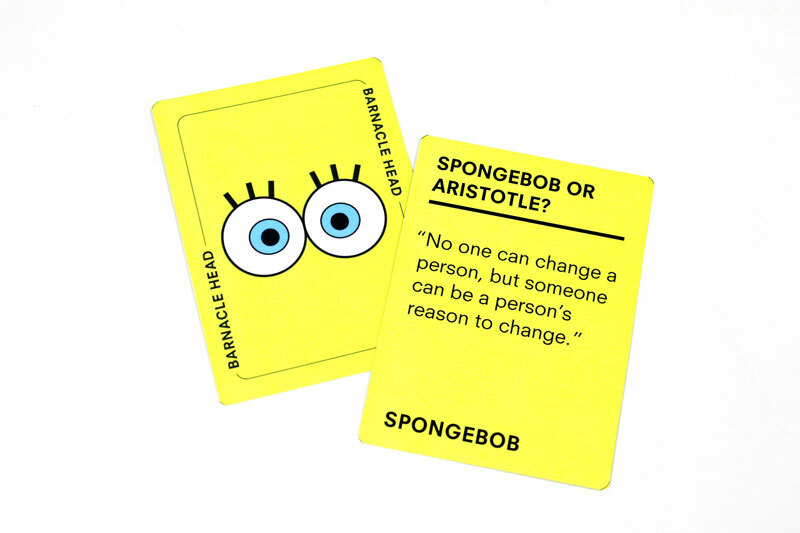 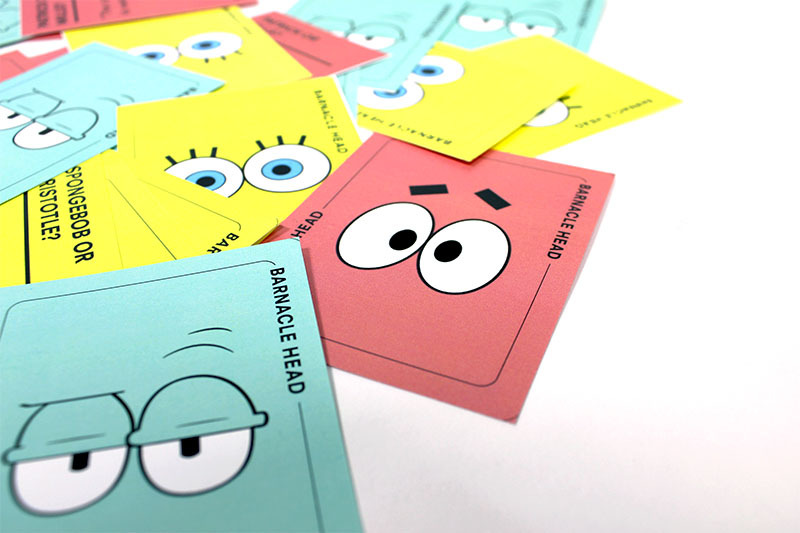 This card game pairs three main characters of "Spongebob" with three philosophers. Each card has a quote from the character or their associated philosopher and the player has to choose who the quote belongs to. 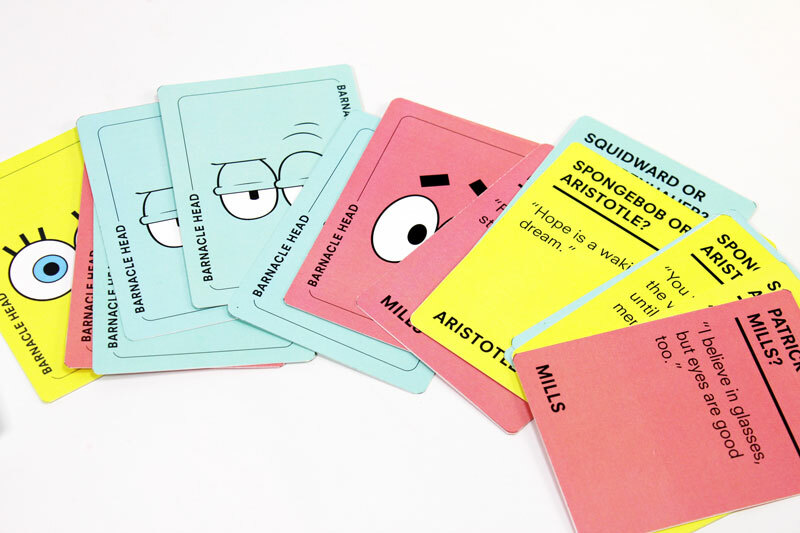 The game mixes ideas of “high thinking” and “low thinking” and also questions the norm of quickly dismissing what may seem juvenile or irrelevant. 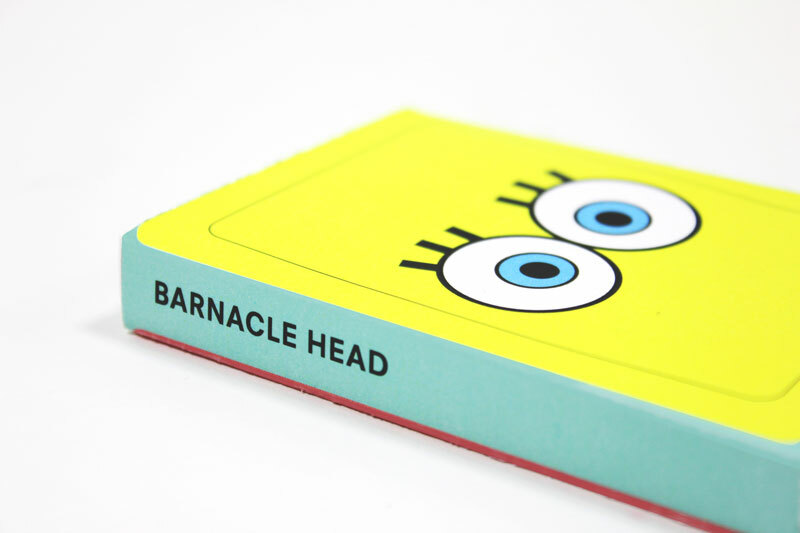 Usually deemed invaluable, children’s narratives are often overlooked in academia and media studies. 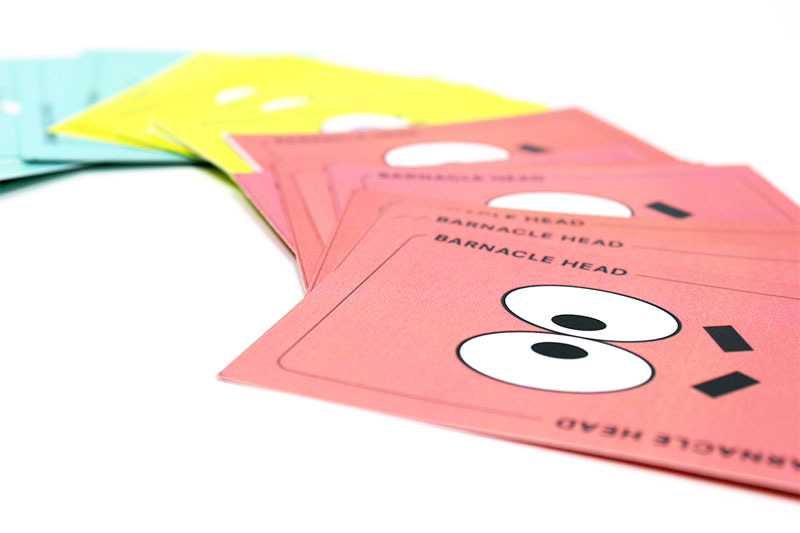 “Barnacle Head” aims to combat this by using the television show “Spongebob” to prove that children’s narratives are worthy of further inspection. 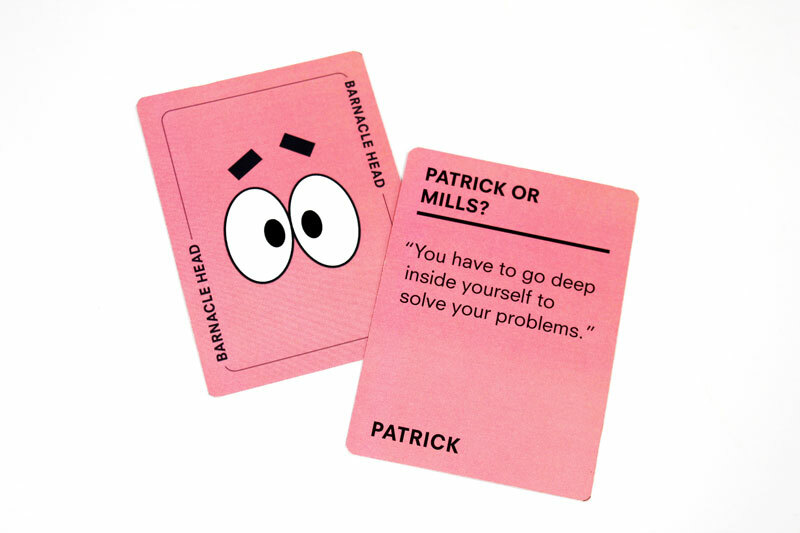 It questions who decides what is valuable, what is academic, and where critcial thinking happens.